This product contains 26 worksheets/activities (13 answers) for students to work through the British Columbia Social Studies Curriculum - Grade 5 Unit: Canadian Issues and Governance. 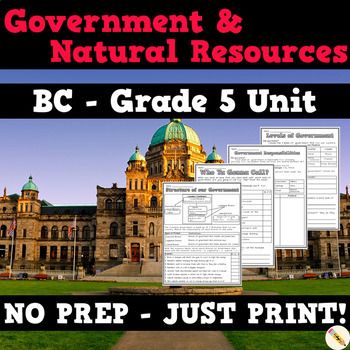 The worksheets focus on the BC government and natural resources available in BC. Thank you for checking out this resource! Follow Super Simple Sheets for more!